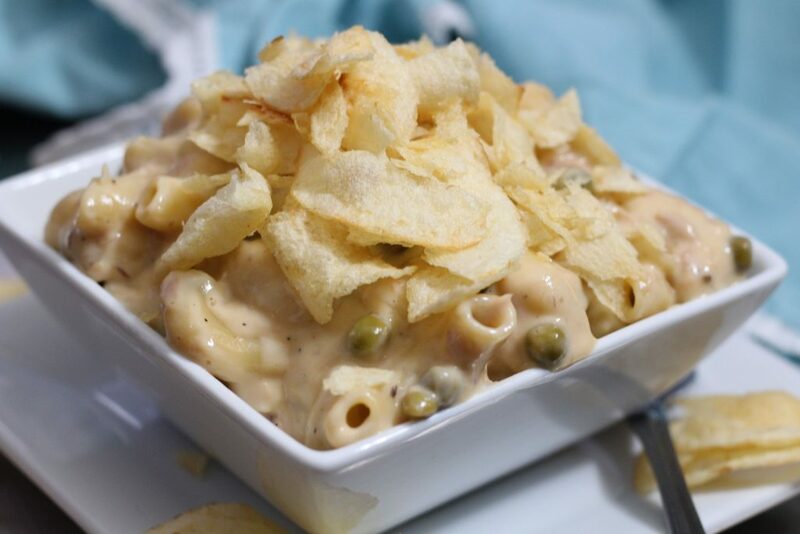 I know this seems like just a plain ole tuna casserole but to me it is pure comfort food. This is exactly how I grew up eating this and it is the first dish I learned to cook. Back in the 80’s helicopter parents really didn’t exist and as a teenager I was left to fend for myself from time to time. Like most comfort foods they usually make you feel good inside and bring back good memories. This dish reminds me of a friend from my teenage years that sadly passed away June 23, 2018 from complications of diabetes at the age of 46 . My friend was a super picky eater and when we got tired of eating whatever we could pick up in a drive thru window this was our go to dish.